The friendliest, fluffiest cats in the world. Persian cats are long-haired, soft, sweet, calm, gently playful, and loving companions that carry themselves with a graceful elegance. How does a Persian look? Inviting is what you see when you look at a persian. Their warm, soft, fluffy coats are an invitation to touch, pet, cuddle, & hold these loving creatures. The sweet expression of their round faces and huge gentle eyes complete the spell that draws them into your heart. Psychologists agree that petting a cat will reduce your stress level & there's no better cat to pet than a soft, fluffy persian! What is the personality of a Persian? Do Persians require special care or grooming? Spending just a few minutes a day combing a persian will keep it's long fluffy coat looking beautiful as well as providing valuable bonding time with your pet. Bathing will greatly reduce any tangles as well as shedding & will enhance the beauty of the coat. Your Cacao Persian will have had multiple bathing and grooming sessions before coming to you so it will enjoy the grooming time as special. Persians love the attention. Don't let the fear of grooming keep you from one of these wonderful cats. If you prefer, you can keep the coat in a short cut, called a "lion cut", that is still soft and fluffy, but requires less grooming. 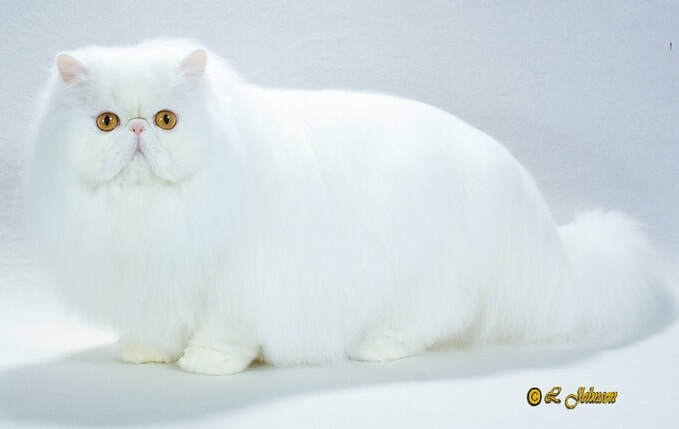 The Persian is an ancient breed thought to originate in--Persia--of course! It was brought to Europe in the 1600's, the United States in the 1800's, & has been a part of CFA since its inception. 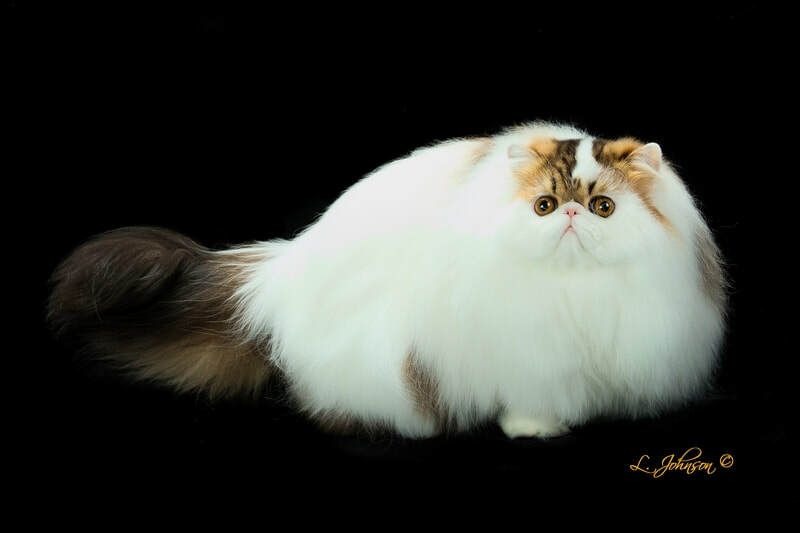 Want to learn more about the Persian breed standard? 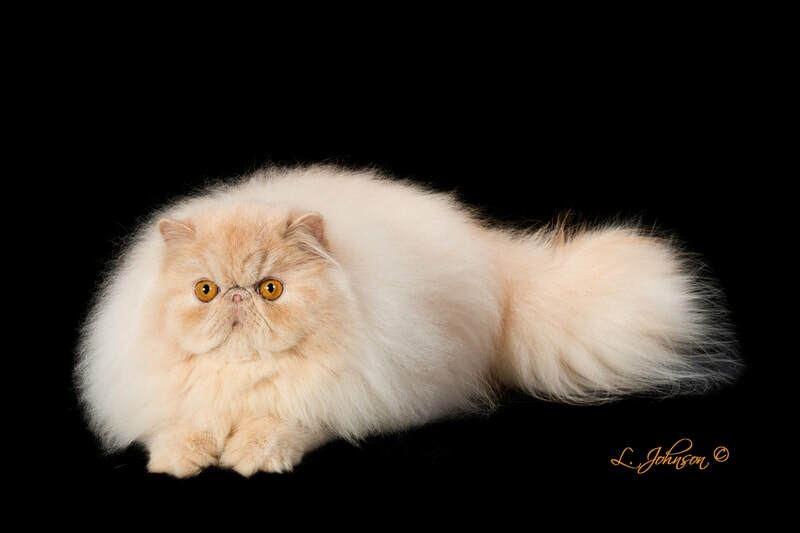 You can read the official CFA breed standard for Persians at this link (click here). This standard spells out ideal characteristics of the breed such as coat, head shape, and conformation.